In his introduction to the anthology, New York Times best-seller John Gilstrap writes: "Who among us would not go to great lengths to prevent the revelation of at least one secret in our own lives? Our secrets define us, allow us to shape for others the image that we want them to see, projecting our strengths and sheltering our weaknesses." Harboring Secrets Tales & Reflections from the Chesapeake Bay Writers is an anthology of work celebrating the 20th anniversary of CBW. Edited by Greg Lilly and Narielle Living, it contains 15 literary pieces by Frank Milligan, Gloria J. Savage-Early, J. M. Johansen, Richard Corwin, Narielle Living, Julie Leverenz, Greg Lilly David J. Carr, Carol J. Bova, Mary Montague Sikes, Ann Skelton, Pamela K. Kinney, and Carl J. Shirley. Royalties go to support the Chesapeake Bay Writers. 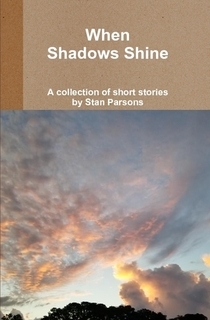 A collection of twenty short stories written by Stan Parsons over the past few years, plus early character glimpses that originally introduced one of his novels, and a preview of his next novel, God Sent A Tramp. The short stories vary. Some of them have a mysterious, horror, or sci-fi twist; others are humorous. A couple are fictional battle sagas in real wars, one is a detective story. Many, like his novels, involve families or individuals who struggle to overcome difficulties. Available here or at the ibookstore.